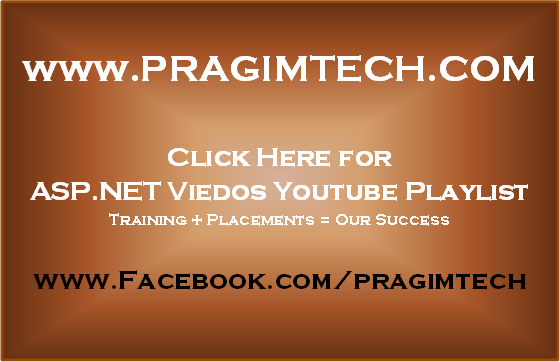 In this video we will discuss about Server.MapPath() method. This method returns the physical path for a given virtual path. This method can be used in several different ways, depending on the characters that we use in the virtual path. Let's understand this with an example. 1. Create an asp.net web application in C:\ and name it SampleWeb. 3. Add a new folder to the project and name it Categories. 6. At this point, right click on the web application project and add a new folder. Name it Data. 8. 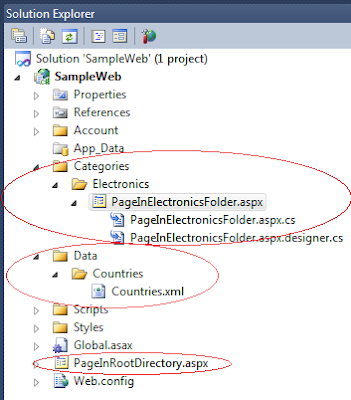 Right click on the Countries folder and add an XML file. Name it Countries.xml. 9. Copy and paste the following in Countries.xml file. If you are following along with me, at this stage, the solution explorer should look as shown below. Running this page would produce the following output.